I’m sorry you were blogless in December but those of you who were following my daily tweets will know how busy I was. Did I work hard?….Yes! Was it worth the jet-lag?….Absolutely! Did I enjoy myself?….You Bet! 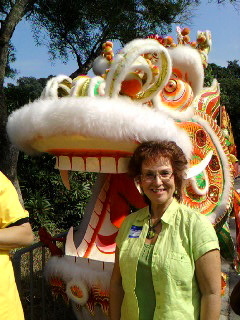 Some of you will know this was my 7th month-long trip to Hong Kong since 1998 and I must admit that I love the place. Let me try and sum it up for you in a few words. but it can also be….. It all depends on whether you are hurtling along on the underground (MTR), indulging in the local hobby of shopping with 10,000 others or walking around a totally unspoilt beach or hillside by yourself. So, I’ve given you a feeling for the place, now what was I doing there? I was one of 20 judges mainly from the UK (but also from Australia, South Africa, USA, Ireland and France) working throughout Hong Kong and the New Territories judging 4 to 20 year olds on Public Speaking, Verse & Prose Speaking, acting and related communication subjects. The competition had more than 200,000 entries – this is an 8% growth on 2009 and the demand for good English speaking is huge. English is a truly international language and they see it as a passport to success. How interesting that in the UK many people don’t think about how they are using it at all! I have called this blog ‘Positive Vibes’ because I really believe we make our own luck and success. OK, I know we are in a recession and doom and gloom are coming at us from all sides but that just means you have to believe in yourself even more. You don’t always succeed as I have learnt myself having got to the the last hurdle for a contract with several major players only to have the plug pulled out at the last second (sorry about the mixed metaphors!) Perseverance will pay off in the end. I now have on-going training work with National Grid but this took over a year to come to fruition so keep at it and BE POSITIVE. I am looking forward to a trip to the cinema to see ‘The King’s Speech’ which opens on 7 January. the film stars Colin Frith and Helena Bonham Carter and is based on Lionel Logue’s diaries – an Australian Speech Therapist who helped the king control his stammer during the 1930’s and 40’s. Trailers have mentioned that he used diaphragmatic breathing (which those of you who have attended my ‘Voice Matters’ course will have perfected…..I hope!) and I have also used it to help stammerers so it should be fascinating. 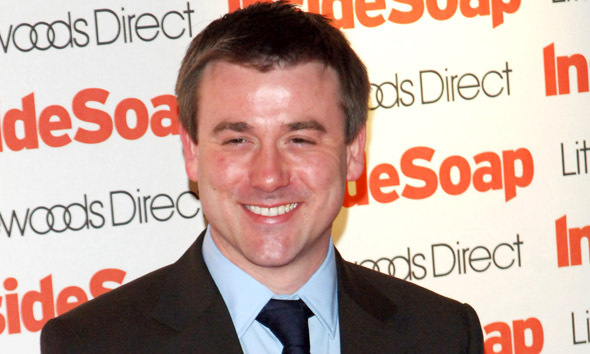 Have you been following my ex-student, Graeme Hawley’s, doings in Coronation Street as John Stape? It became almost Greek Tradgedy while I was away but I caught up with it before Christmas. Goodness knows what will happen to him in 2011. Well I’m writing this as I recover from my granddaughter’s first birthday party yesterday. Now I mustn’t eat for a few weeks. New Year resolution……to go to the gym more often. So I hope to see some of you soon and I wish you all a very successful and prosperous 2011 and don’t forget to….. Comments Off on POSITIVE VIBES FOR 2011!